Are you curious about the Bible? Thankfully, there are a number of great study Bibles available today, with helpful tools to get you into God’s Word. But I want to tell you about a new one, the NIV Faithlife Study Bible, that I am really excited about, and why I recommend it. The NIV Faithlife Study Bible has actually been available online for sometime now, from Faithlife, the company known for its Logos Bible Software. The NIV Faithlife Study Bible was designed for online use, either from an iPhone, iPad, Android, Logos Bible Software package, or via web browser on your desktop computer (and it is FREE!!!). It has detailed verse-by-verse notes, to aid your understanding, plus some visually engaging graphics, charts, timelines, and sidebar articles. Plus this online version, links into other helpful study resources, including Veracity’s “blogger-in-chief,” John Paine’s favorite, the NET Bible. Now, the NIV Faithlife Study Bible has been released as a standalone book, something that you actually hold in your hands. I like the digital stuff, but there is still something about having a bound stack of paper in my hands, that I can take to a Bible study small group. Here is a sample. But aside from the helps, there are some other fundamentals as to why this is such a good Bible. First, they used a really good Bible translation, the NIV 2011. I did a pretty extensive review between the ESV (English Standard Version) and the NIV 2011 (New International Version) a few years ago here on Veracity, and my verdict in my analysis was close. For me, the ESV just barely edged out, for the purposes of doing in-depth Bible study, but the NIV 2011 is right there behind it, too. 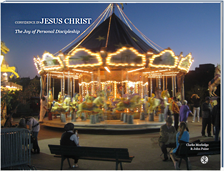 Secondly, Faithlife sought to give a broad perspective, with respect to various denominational traditions, as to the content of the study note materials. They are committed to this idea that the study of the Bible should not be conducted inside an echo chamber, where all you hear and read is from a single evangelical tradition. Unfortunately, there are some study Bibles out there that only give you one point of view, typically the perspective of the guy with his name of the cover (In other words, if you ever see something like the Morledge Study Bible in your local Barnes and Noble, you are better off if you take a pass on it). Thirdly, the NIV Faithlife Study Bible has a great team of scholars behind the project. Only four editors are listed, but the scholar that I know and respect the most is Michael S. Heiser. Heiser has a great blog for Bible nerds, like me, and he is the host of the Naked Bible Podcast. These are solid, orthodox believing scholars, with their hearts and minds set on the plumb line of Scriptural authority, who have a passion for making the background and details behind God’s Word accessible to the ordinary person. Are there any downsides to the NIV Faithlife Study Bible? Well, from what I have seen, the maps in this study Bible are not as good, as compared to what you find in my ESV Study Bible. With respect to the online version, it takes some time getting used to the navigation, which at first can be confusing. But once you get the hang of it, it is rather cool. I am still wedded to my trusty ESV Study Bible, with the NIV Zondervan Study Bible, a close runner up, but the NIV Faithlife Study Bible is right up there near the top of the list. You can always try it out online or via a SmartPhone app, to see if you really like it, first. Michael Bird is an Australian Bible scholar, who is an enthusiastic endorser for the NIV Faithlife Study Bible. View his videos below, and consider getting this study Bible for you, or a friend, who really wants to dig in deep into God’s Word. Read other Veracity reviews of study Bible material, including my review of The Reformation Study Bible, my review of the NIV Zondervan Study Bible, and a general survey of available eStudy Bibles. Also, do not miss this from John Paine, the Veracity “blogger-in-chief”, with his analysis of online study tools. This entry was posted on Friday, March 24th, 2017 at 7:29 pm	and tagged with niv faithlife study bible, study bible and posted in Tools. You can follow any responses to this entry through the RSS 2.0 feed. By default, there are are two panes in your web browser, the Bible text on the left, and the Faithlife Study notes on the right. But on the left side, you can select alternate Bible translations, including the NET Bible, which allows you, with your mouse, to hover over the footnote references to give you the expanded notes. Phillip Long at the Reading Acts blog as a good review of the FaithLife Study Bible. I would agree with his assessment that the English Standard Version Study Bible still beats it in terms of depth and breadth of resources, but this can be overwhelming to some. On the other hand, FaithLife Study Bible might less intimidating, and the graphics have more eye appeal.